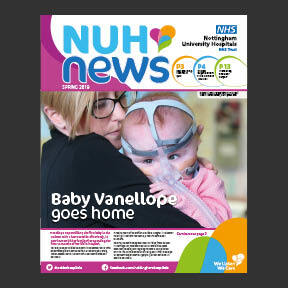 NUH News is our free quarterly paper for patients, visitors, members, volunteers and staff. The latest issue is available to view below. Do you have a story for NUH News? Email nuhcommunications@nuh.nhs.uk. 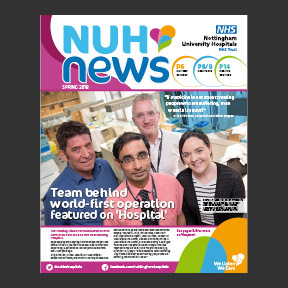 In this issue read about our new operating theatres, a royal visit and pioneering shoulder surgery. 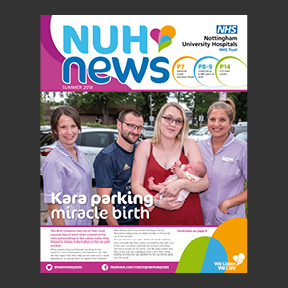 In this issue read about a miracle birth, our NHS 70 celebrations and national Organ Donation Week. In this issue read about BBC2 'Hospital', Nurse & Midwife of the Year Awards 2018 and upcoming charity events. 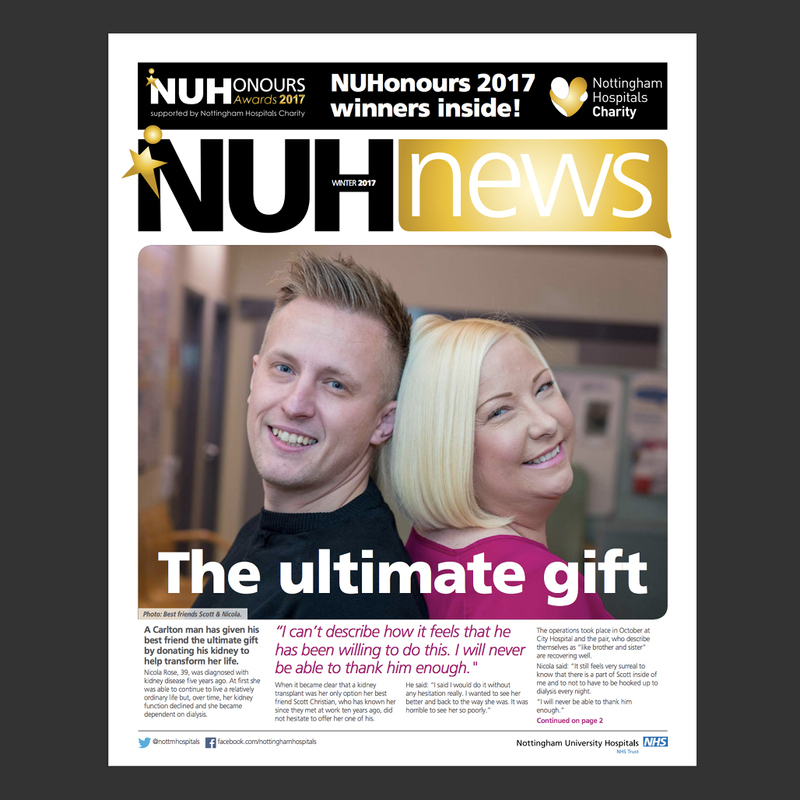 In this issue read about Organ Donation, NUHonours Awards 2017 and upcoming chairty events.